She's back to wreck her own unique brand of havoc! 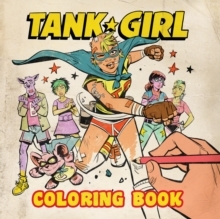 From the depths of the outback she charges, astride her fabulous tank! Run for the Hills! 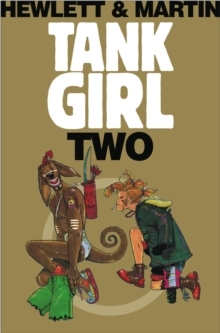 It's...Tank Girl!Marking the 20th anniversary of 'Tank Girl' and starting off where book one ended, these are the continuing adventures of everybody's favourite beer-swilling, chain-smoking, kangaroo-worrying lunatic and all round style icon. 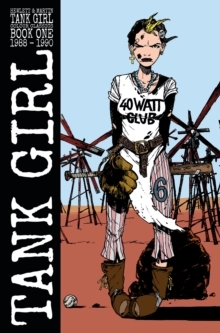 After escaping from asylum, Tank Girl goes on the road with Jack Nicholson and Peter Fonda, solves a mystery or two and finds time to join Booga's Treehouse Club. 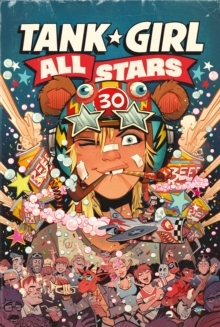 Featuring rarely seen material from Jamie Hewlett and presented for the first time ever, in chronological order.